Watching Nigeria’s national under 21 team the Flying Eagles players and officials jubilating widely after the center referee sounded his whistle to bring to an end the hosts Niger vs Nigeria encounter which the Flying Eagles won by a lone goal to qualify for the under 20 world cup scheduled for Poland later in the year, I was impressed with how much it means to the lads and their coaching crew. 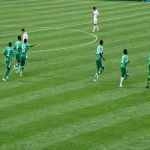 For quite some time now, Nigeria have not been able to make it to the Junior World Cup and showing how much it means to them to have righted this anomaly told a story of its own about the Nigerian players sense of patriotism and as well their desire to enrich their careers by playing in a prestigious stage as the under-20 World Cup offers. While I join the rest of the Nigerian football community to celebrate the Flying Eagles qualification to the World Cup and the semi-finals of the junior Nations cup, I’m particularly pleased for one player who was a part of the team by dints of hard work (after impressing greatly in Sweden) and some luck (having being included in the Nigerian team as a last minute replacement for injured striker Victor Boniface). I’ve extensively reported on the exploits of striker Pascal Onyekachi Durugbor in his Swedish club Vaxjo United and have also known him as a daredevil striker in his grassroots days with Rock Stars FC of Benin City. 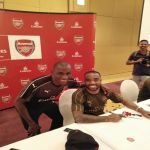 When you cover, as a sports writer, a hitherto largely unknown player and you place firmly on record your belief that the player is headed for greater heights in the game, it gives you a warm feeling of justification to see the player making significant progress in the international football space. So it is with me as I watched Durugbor play in the second half of the Flying Eagles second game against South Africa’s under-20 team in their second group A match which ended scoreless. Of course, I’m not alone in being particularly pleased for Durugbor. 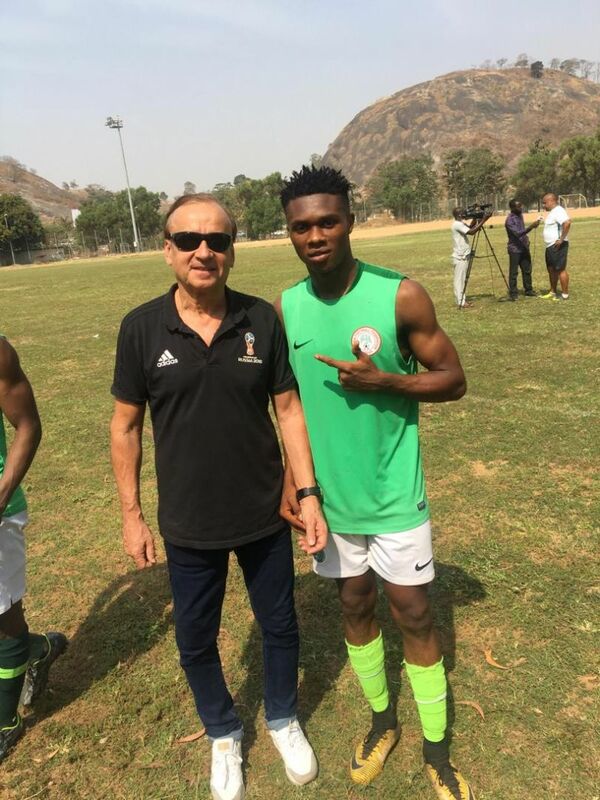 The agent of the player Ferdinand Oji (CEO of Chinice Sports football agency) has expressed his delight for Durugbor and for the Nigerian under-20 team as a whole. “I’m very happy for my player Pascal. To be a part of the national team is not easy at all. It fills me with immense pleasure to manage a national team player. I’m happy for him and proud of Chinice Sports for producing a good player like Pascal for the nation. I also congratulate the Flying Eagles for qualifying for the World Cup,” Oji tells me. 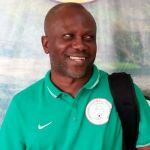 Oji who has just breezed into Nigeria from Niger where he has been watching the Flying Eagles group matches live urges the Flying Eagles to try to win the Under-20 AFCON. I’ve been really impressed about how Oji has played finely the role of a minder for Durugbor. 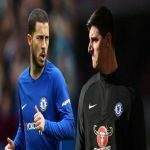 He has with great zeal supported the lad, facilitating his settling down in Sweden where he later posted a super impressive return of 35 goals across the different competitions in the Nordic country for his Vaxjo club, becoming the highest scorer in the third tier league and also in the prestigious Hyundai Cup. Young players need guidance off the pitch. 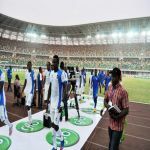 Players agents are there to unburden the player by helping them to handle off the pitch business, not least in the areas of relating with suitor clubs for the player’s services and serving as a liaison for the player sometimes as regards national team invitation. All this and more Oji has done for Durugbor and now the expectation is that, with a new status as a national team player, the profile of Durugbor must have risen to the point where bigger clubs in Europe would be making serious inquiries for him. 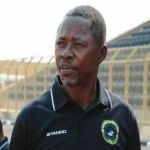 Oji says he’s ready to entertain offers that would duly take into consideration the quality and profile of the player. “There had been several inquiries made on him by top clubs in Europe during the course of his exploits in Sweden last year. Expectedly, interests in him will increase now that he is a national team player. We will consider all offers and look out for the best deal that would enrich his career,” Oji assures.